PICKING TOOLS TOURS Learn about the lates orchard tours from harvest time to cycling trails in Italy!.. 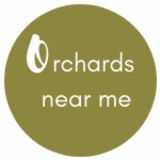 WHO ARE THE ORCHARDS NEARME TEAM? WELCOME TO THE HOME OF HOMEGROWN FOOD... Do you look forward to blackberries ripening on the bushes in Autumn? Do you find yourself looking down to search for mushrooms when you are out for a walk? Have you collected shellfish on the seashore? If you have done any of these then you are a flying picker. The OrchardsNearMe.com team are a community of foraging enthusiasts around the world. We have picked cherries at U-Pick farms in Vancouver, collected fresh strawberries in the Okanagan, searched for winkles on the Irish coastline and enjoyed sampling the ripe grapes during the wine season in Portugal. At different times of the year we grab our baskets and gloves to head off on our latest foraging adventures. Our tours include picking trips in Ireland, Portugal and Italy. Our committment is to educate others about picking adventures and bring a little bit of wild food to as many kitchen tables as possible. Feel free to join in. Happy Picking! "The art of picking was simple, patience was the only real skill required". COASTAL FORAGING: ADVENTURES IN IRELAND You are never guaranteed to get warm weather when walking by the shore in Ireland. Raindrops comes in all shapes and sizes, tiny drops that sprinkle the ground, sideways rain that catches you off guard, warm drizzling rain that soaks you to the bone but all of these weather conditions combine to make it extra rewarding with you stumble upon some unique culinary treats. From fresh mussles to pools of winkles, you will find everything you need for a warm cup of seafood chowder along the Irish coastline. My first coastal foraging excursion was fruitful. As a child my mother would buy us small plastic buckets and short fishing rods to scoop out the seaweed from the giant rockpools all along the Co.Clare coastlines. Picking was part of every stage of growing up. From child to adolescent I made the transition from bucket to bag and back again when picking along the shore. COASTAL LIFE My grandfather would take the whole family to a nearby beach and we would eagerly wait until the tide had gone fully out, revealing the rockpools, seaweed and most importantly the shellfish hiding underneath. The art of picking was simple, patience was the only real skill required. Myself and my sister would spend hours scanning the shallow pools of water for the biggest winkles, crabs and mussels. Although all of the shellfish that we scoured for were easily identifiable, not all were easy to find. Winkles were the easiest to collect. They tend to roll with the tide so it was not a matter of searching for them but more time was spent deciding on which ones to collect. I never tool the baby ones. This was my one rule for collecting winkles. Once you have avoiding the baby shells you can enjoy scooping out large handfuls of winkles alons most shorelines. When it came to crabs I was always a little nervous to pick them up. Their claws would reach right out to stab pinch you if you were too quick. Sometimes we would just play with them for awhile before placing them carefully back in were they belonged. Laughing as they scrambled off to find their pals. Mussels were always considered the biggest treat. They clung tightly to the edges of rocks, making it more difficult to pull them off. Nothing can beat a pot of fresh mussels cooked in garlic and tomato juices. Give it a try. Believe me you won't be disappointed. Why not try a spot of razor clam hunting while you are by the shore. Simply bring some salt on your journey and seek out the small holes in the beach. Pour in the salt and watch in awe as the razor clams come to life. Other favourites of mine include kelp and seaweed. These make delicious additions to salads. You can also use them to enhance the flavour of any seafood dish. COASTAL FORAGING TIPS DON'T let the weather prevent you from your next adventure. Remember that a little rain never hurt anyone. If you happen to get a sunny day then take advantage of it, spending a few hours by the shore. LEAVE enough for others. Everyday we hear warnings of over fishing so be mindful of this when you are foraging by the sea. Only pick enough for one days pickings, giving the shores time to replenish its goods over time. WEAR suitable clothing. This is key to any foraging adventure. Waterproof shoes comes in handy when you playing in rockpools. Also, bring a spare pair of socks to keep your feet dry. KNOW the tides. Most countries will offer websites that give you the times of the tidal currents. Keep a close eye on these. You don't want to venture all the way to the beach to find that you have to wait five hours until the tide recedes. DON'T be afraid of seaweed or crabs. The waves may look rough but the sea is gentle with many varieties of produce to try. You never know what treasures you will find. WHY FORAGE Picking fruit fresh from the fields may be the most rewarding activity of any trip abroad. Not only do you have the chance to join the local communities during their harvest season you also learn about what grows where and when. That is the main reason why we love getting outdoors, getting down to work and offering a helping hand or two throughout the picking season. GET BACK TO NATURE Fill up your water bottle and prepare for a day surrounded by the freshest produce of a region. Benefits of being outdoors include reconnecting with the land, increased energy and mindful engagement with local communities. LEARN FROM THE LOCALS Every country harvested unique fruits to their regions. If you are a life long learner than foraging and fruit picking will give you the opportunity to gain knowledge about local industries, nature and the production processes in different regions. HELP THE LOCAL FARMERS Today it is difficult for farming communities to join the rat race. Support local farmers by joining in their harvest season, help them by visiting upick farms, collecting from their fruit filled trees and allowing them to become less reliant on foreign workers during the busy seasons. BE SUSTAINABLE Adopting a foragers lifestyle could help you to reduce your use of natural resources. By picking wild produce you are less reliant on larger supermarket chains, making your food intake more efficient. TASTE FRESH PRODUCE If you haven't tasted fresh wild food then you are missing out. Wild garlic, berries and other plants contain the copious amounts of Vitamins that we may be lacking from other foods. Replace your Vitamin C tablets with a handful of berries. Locally foraged fruits are delicious and healthy. Join the picking community to taste the fruits of natures labor. From grapes in Portugal to shellfish in Ireland, wild food is available for everyone to enjoy. HAVE FUN LEARNING A NEW SKILL Foraging isn't just about using the food, it is also a fun past-time to enjoy with your family and friends. Embarking on a foraging adventure is a fantastic experience. Whether you plan to spend a day coastal foraging at the beach or an afternoon rummaging for goods in the forest, there is something for everyone to enjoy. The best part is searching for wild food, collecting the goods and bringing them back into the kitchen to try them out. Once you have been out in nature and tasted the fruits of nature you will never look back. We are picking by day and by night, loving every step of the journey. Join one of our mouthwatering, food packed tours for 2019. 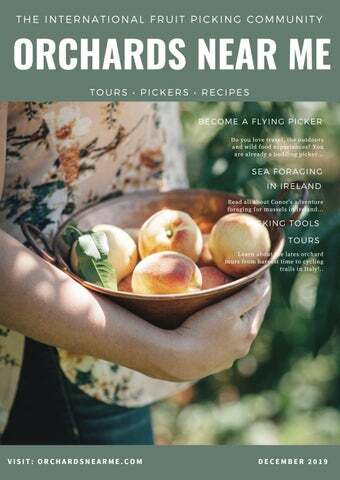 Whether you are a beginner picker or a seasoned forager we have something for everyone. Learn all about the local produce and taste some of Ireland's freshest fruits. Our tours take it the best landscapes across Europe. Ireland is known as the land of Saints and Scholars, a vast canvas of playful green welcomes you to the home of Guinness. On every picking experience in Ireland you will have the chance to see the stunning landscapes, learn about the local history, pick the forest fruits and enjoy exploring the regions best trails with local guides. Your holiday will include a foraging guide, a tasting, a trip to the pub and walking in some of the most scenic locations. DUBLIN FOOD EXPERIENCE You will join a group of picking enthusiasts to learn all about the local produce and taste some of Ireland's freshest fruits. Northern Portugal is one of Europe's best kept secrets. The Duoro Valley is home to some of the world's premier wines and all of the vibrant towns have a relaxed atmosphere perfect for any trip away. Starting in the UNESCO listed, seaside city of Porto you will be greeted by Sandy beaches and grape filled vineyards as you enjoy this picking experience. Along the way you will tour the vineyards, visit the olive groves and learn about the local produce. This tour is ideal for anyone with an interest in nature, food and wine. Who isn't? Spend time in the home of Port in the seaside town of Porto before making your way into the heart of the famous Duoro Valley wine region. This tour is 5 unforgettable days of learning, tasting and exploring. A land of tastes and smells we all long for. Our fruit picking adventures in Italy will leave you with lifelong memories. From the hills of Tuscany to the Italian Riviera we have handpicked the best food and fruit experiences across the stunning Italian landscapes. In Italy, there is a fruit for every season. The vineyards are bursting with grapes in Autumn, the cherries sprout from their beautiful flowers in Springtime, the olives are ripe for picking in Winter and in summer the citrus farms come alive. Visit the heart of the wine region in Canada to sample some of the best wines and fruits of the Okanagan region. This five night, self guided food tour is ideal for anyone who wants to get back to nature and spend time exploring the countryside..
SEA FORAGING TOURS At different times of the year we run guided sea foraging tours where you have the chance to learn about the local shellfish, pick some fresh produce and get a taste of the sea. Many of these farms produce so many berries that they find it difficult to collect them all and some struggle to hire farm workers to help during the picking season. So not only are the U-Pick farms a splendid day out, they are also an economic necessity for remote farmers who need to prune their crops each season. After we finished collecting some fruit, it was weighed and we paid a small sum to bring some back to our friends in Vancouver. In addition, at many of these farms you will find farm shops that offer wine tasting, local pastries and even some unique souvenirs. I can vividly remember sipping the local wines from mini boots on high stools in the farms bar. Thank you to all of the very generous farmers for giving us a chance to fill up our baskets with fresh produce on their U-Pick farms. This is a great way to make some fun, picking memories. FAMILIES WHO FORAGE: KID FRIENDLY TOURS When we were young I can clearly recall our weekly Sunday drives to the local woodlands or walk by the sea. Did your parents or grandparents ever try to teach you about the foraging techniques of your ancestors? Mine did. We would have walking lessons about foraging while picking mushrooms, scouring the seaside for winkles, pulling fresh blackberries from the bushes. Yes there were a few thorny branches, yes there were a few times when we fell into the rock pools but these were the best memories of my childhood. To relive these treasure hunting experiences now through the Flying Pickers Tours is a dream come through. Do you find your children are spending more and more time in front of screens? This is a huge social issue. Not only are we forgetting how to communicate with others we are also losing our love for the natural landscapes around us. If you would like to educate your children about nature, farming, fruits and flavours then a foraging experience is the perfect way to get a feel for the outdoors.d visa. A trip may also be part of a roundtrip, which is a particular type of travel whereby a person moves from one location to another and returns. Our family foraging tours are suitable for any age. We limit the number of people so that we can provide a customised experience and give you the tools you need to get started with your foraging adventure. 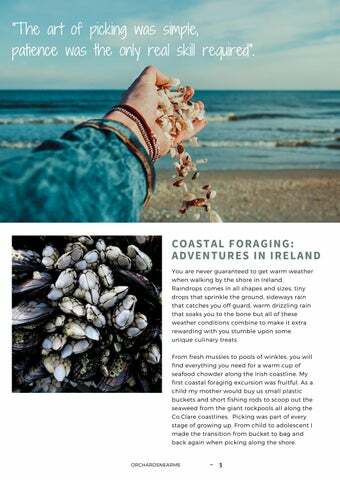 IRELAND: SEAFORAGING TOUR - 5 NIGHTS Travel may be local, regional, national (domestic) or international. In some countries, non-local internal travel may require an internal passport, while international travel typically requires a passport and visa. A trip may also be part of a round-trip, which is a particular type of travel whereby a person moves from one location to another and returns. PORTUGAL: FRUIT PICKING IN OCTOBER- 4 NIGHTS Once difficult, slow and dangerous, travel has tended to become easier, quicker, and more frivolous in the course of history. The evolution of technology such as horse tack and bullet trains has contributed to this trend. While travel in the Middle Ages offered hardships and challenges, it loomed large in the economy and in society. FRUIT LOVING DAY TOURS What a great way to spend an Autumn weekend. U-pick farms all over Canada offer unique chances to pick your own produce during the harvest season. You can pick everything from fresh strawberries to baskets of cherries to ripe tromatoes. 10 PICKING TIPS There is no right or wrong way to start your picking adventures. There may be more places that are more fruitful than others, like an orchard for instance. I can vividly recall my first time foraging for mushrooms in what others may have found to be a vast, open field with little character but the true treasure may be hidden beneath your feet. Simply look down and scan your surroundings. Okay enough with the reminicising, its time to get down to business. There are a few steps you can take that will make your first foraging excursion a little easier. Our experimenting began with a small patch of tomatoes. If you are unsure what fruit to start with then this one is easy. Once you find the right tomato feed for your small plant you will see it blosson. Cherry tomatoes are the best and so delicious with any meal. For berrylicious desserts then you are in luck as berries are super easy to grow once the birds don't get at your ripe fruits first. Head to your nearby home store and you are sure to find some berry plants ready for the garden. Blackberries, raspberries and gooseberries are the easiest to maintain. Although raspberry bushes are known to grow out of control, this has never happened in my experience. Remember that berries need to be picked. Luckily we love picking so this is an easy job. The larger fruits take longer but these are worth the effort. We have a large apple tree out our back garden and you will thank your lucky stars when you taste your very first homemade apple crumble. With every season comes a new fruit to harvest, a new berry to discover and a new place to explore. Our seasonal tours offer the chance to meet local producers, taste the freshest produce, walk the trails and forage for unique seasonal foods. We will show you the art of picking and how each food is used within the local communities. From the rolling hills of Tuscany to the vineyards of the Duoro Valley, let's go picking! Autumn DISCOVER THE EUROPEAN HARVESTS A walk through any forest in Autumn is a magical time. Tis' the season of fresh produce, wild foodie delights and mushroom hunting. Not only do you have the last of the year's sun to keep you comfortable on the trail, you also have the benefit of knowing that the produce is ready to be picked. So what can we find along the trails in Autumn: berries are plentiful. Keep an eye out for Blackberries, blueberries, Sloes and Raspberries. Mushrooms are like treasure for foragers. Enjoy identifying the most curious shapes of the forest. If you prefer to find rather than seek produce then head to any U-pick farm in early Autumn for a spot of picking. Fruit lovers can feast on the fresh harvests of Autumn throughout Europe. In Spain, Portugal and Italy the vineyards are bursting with grapes to be picked. September and October are the ideal months to go on a tour of the top vineyards across Europe. TIP: Read up on the different species of mushrooms and berries before you attempt to pick or eat them. Learn more about the Top Orchard tours in Autumn here. Winter TRAVERSE WINTER WONDERLANDS Don't fear the cold that grips to trees in winter time. Wrap up in your winter warmers and head for the hills to discover some wild treats. An afternoon of foraging in winter can yield some fruitful bounty to add to your Christmas food stock. Watercress, nettles and ground Ivy are just a few of the wild plants that come alive in wintertime. Did you know that you can add nettles to homemade pesto? And don't worry they won't sting once they are boiled. Some wild winter specials include Rose hips and Pine needles. Both make flavour filled teas to warm you up after an afternoon in nature. TIP: Keep an eye out for acorns packed full of nutrition. Learn more about the Top Orchard tours in Winter here. Spring LIVE FRUITFULLY IN SPRINGTIME The air is crisp, the days are bright and green leaves are beginning to awaken from their winter hibernation. This is a time of new beginnings and a perfect time of the year for a foraging adventure so grab your basket and head for the hills. You may not think of Spring as the most fruitful time of the year but there are plenty of flavour filled plants to pick from. Dandelions, daisies and watercress start to make an appearance in the months of Spring. For a true taste of the earth try making some dandelion tea or why not use the petals to add some colour to an otherwise boring green salad. Nettles are one of the more under-utilised and undervalued spring treats. After washing and boiling your nettles you are ready to eat them with any homely dish. Learn more about the Top Orchard tours in Spring here. Summer SEASHELLS AND SEASHORES FOR SUMMER Head to the seaside and don't forget your bucket and shovel to enjoy a little sea foraging during the summer months. The smell of the sea will guide you on your coastal picking adventures. For an action packed day go searching for some bountiful shellfish, found in rock pools on the edges of most beaches. Bend low and don't be afraid to get your hands wet. Rub your hands against the sides of the rocks to pick peri-winkles, mussels and seaweeds. Remember to thoroughly wash anything you pick from the sea in cold water before boiling. What to pick in Summer: Shellfish is available at anytime of the year but summer is a lovely time to collect fresh mussels by the sea. Tip: Summer is one of the best time to visit the u-pick farms in Europe. Strawberries, cherries and other delicious fruit varieties are ripe for picking! Learn more about the Top Orchard tours in Summer here. TASTE TUSCANY Typically Italian food is based on fresh, local ingrediants, pasta is often handmade and you will be treated to the smell of fresh fruit and vines wherever you go. If you have never tried truffle hunting in the Tuscany then this is your chance. TRUFFLE HUNTING IN SAN MINIATO San Miniato is a tucked away paradise, the perfect nesting spot between the walled town of Lucca and historic Siena. Meeting Massimo and his truffle hunting dog companion may not be high on your bucketlist but it should be. All that is admired about romantic Tuscany from afar can be found while rummaging through the forests for this rare, expensive produce. Finding truffles is no easy task. It required time, patience and an mistakable love for nature. Massimo has all of these qualities in abundance and any trip with him is worth the wait. GELATO IN LUCCA Travelling to Italy and not tasting the scrumptious array of Gelato on offer should be a sin. Taste the nutty flavours of Bacio, the fruity delights of fragola or the mouth-watering Cioccolato. Just opposite the gigantic Cathedral in Lucca is the famous Gelatarium. Pick your scoop and take a swing on their indoor swing set. ROMANTIC ITALY: AN ADVENTURE FOR TWO Underneath the stars in Tuscany, eating delicious oven baked pizza and sipping famous red wines. This is how romance is supposed to be. A fruit picking adventure can be just the tonic for any couple with the right balance of giving back to nature, helping out a local community and enjoying quality time together. Whether you are still in the honeymoon phase or celebrating a big anniversary, an orchard experience is something fun that you can share. Depending on the time that you have to explore there are day tours of lemon groves, wine tours and flavourful adventures in most regions of Italy. For a particularly romantic escape we would highly recommend a cycle along the historic towns of Tuscany at harvest time. In terms of sights, sounds and smells it doesn't get much better than this. You and your loved one will have the chance to enjoy the best of nature in Europe on this fruit filled adventure. DAY 1 Our experimenting began with a small patch of tomatoes. If you are unsure what fruit to start with then this one is easy. Once you find the right tomato feed for your small plant you will see it blosson. DAY 2 For berrylicious desserts then you are in luck as berries are super easy to grow once the birds don't get at your ripe fruits first. Head to your nearby home store and you are sure to find some berry plants ready for the garden. Blackberries, DAY 3 raspberries and gooseberries are the easiest to maintain. Although raspberry bushes are known to grow out of control, this has never happened in my experience. DAY 4 The larger fruits take longer but these are worth the effort. We have a large apple tree out our back garden and you will thank your lucky stars when you taste your very first homemade apple crumble. orchardsnearme.com UNIQUE EXPERIENCE Enjoy a taste of real home grown food while discovering the local culture, sites and people of the regions where these foods are produced. From established Vineyards to wild forests, we have chosen the best foraging experiences around the world. LOCAL RELATIONSHIPS All of our picking experiences are hand-picked by local experts. The producers, guides and flying pickers work together to create the ultimate learning experience for all visitors. Over the last number of years we have built relationships with farmers, producers and guides to establish the best tours. We only pick tours that we would enjoy going on ourselves. Often one of our picking team will go along with the tour to catch up with local friends or guide the group. INFORMATION We pride ourselves on developing a deep understanding for the culture, trails, vineyards and food on our tours. To assist you along the way we have put together the best itineraries, notes and maps that will guide you along the way. Each tour has bespoke packages. Because we take care of the details (accommodation, transfers, notes, maps and luggage transfers) you are free to enjoy a relaxing holiday experience. KNOWLEDGE AND SUPPORT Speak to our picking experts to learn about the best foraging experiences around the world. As seasoned pickers we are always out on the trails and meeting the producers to ensure the produce we promote through our tours are set at a high standard, using local production methods and sustainable growing methods. We offer a 24 hour support number for everyone that participates in one of the experiences. WHAT'S INCLUDED Foraging tips for beginners What to pick when and where Avoiding poisonous wild food The picking seasons Nutritional information Healthy wild food recipes Printer friendly format And more! This eguide is designed for all food lovers, nature enthusiasts and anybody who would love to explore the outdoors. There is no right or wrong way to start your foraging adventure but we have some tips that may help you along the way. If you are a lover of food and the outdoors than foraging is a past-time made for you. To get you started on your next foraging adventure we have designed a foraging guide for beginners with tips, tricks and plant details In our useful guide you will discover what plants are ripe and when, where to find the best foraged goods, wild food recipes, nutritional details and some safety tips for your first foraging adventure. This guide was inspired by my own outdoor frolics, it is easy to follow and should be treated as a short companion. Enjoy identifying the will plants found in the guide and getting to grips with different foraging techniques. From forest trails to coastal paths, there is so much to be found if you take some time to look around and enjoy nature. Happy Picking All! Smell the sea air, blow in the Atlantic winds and get a taste of fresh Irish produce.